Note: To check if the USB driver is properly installed, check to see if a new COM port has been detected on your computer after connecting the WMicrotracker. Unzip the files to a temporary folder and follow the detailed instructions in the Readme.txt file. 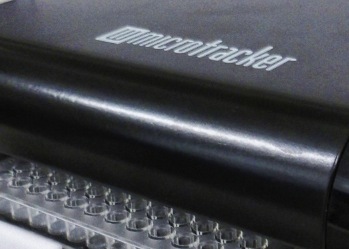 Step 3: Hardware check (WMicrotracker computer). When the power supply is connected to the computer, the green light at the top right should light up and the blue light should flash three times (this is a microprocessor system check). 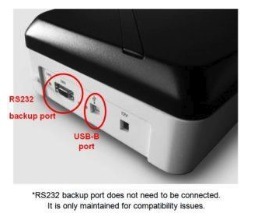 Connect the USB-B cable to the USB COM port on the back of the computer and the USB end to any free USB port on your computer. The Windows system must recognize a new device when connecting the system.